← Gestational Diabetes Oral Glucose Tolerance Test – Why it’s not reliable! Coconut Juice – To Drink or Not to Drink During Pregnancy? For normal pregnant women: DRINK UP! If you’re like me and other most preggies out there, we get dry lips and itchy skin due to hormonal imbalance. In addition, we get constipation and indigestion. It’s like every horrible situation lumped into one. Some other women have high blood pressure during pregnancy. Well guess what? Coconut water helps with all of that. It’s high in potassium, magnesium, and electrolytes! it also has calcium and phosphorus. It’s also low on calories and sugar. It helps me deal with the times when I couldn’t stand the taste of pure plain water during pregnancy as this has some taste to it and it’s refreshing. It has one more thing: lauric acid. This prevents us from getting infections and increases our immune system. It seems like great solution to a lot of pregnancy matters and concerns! One thing to note: women with endometriosis should not drink coconut water when they’re “not” pregnant. Coconut water mimics estrogen and to a point where in a research study, they showed that menopausal rats who took coconut water had estrogen levels to their pre-menopausal days. That’s kind of scary thinking about how much estrogen it mimics which is bad for endo. The reason you can drink it during pregnancy is due to the fact that your body is no longer generating high volumes of estrogen like it did before pregnancy (due to pregnancy hormones) and you’ll have to drink coconut water in moderation unlike regular pregnant women who didn’t have endo before. At least for now, we can enjoy for a little while, right? Until we stop breastfeeding at least. One more thing, always choose fresh coconut over bottled. If going for bottled go for the flash pasteurized process (or however they call it). There’s a brand I love: ZICO. You can order it off Amazon. 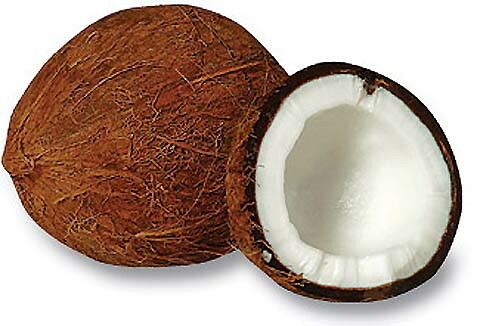 But I really do prefer fresh coconut that’s not pasteurized since it has more nutrients and tastes 1000% better. Please don’t get coconut water confused with coconut oil as coconut oil is very safe for endometriosis! It’s like a whole different animal compared to the juice. This entry was posted in General, Health Foods, Pregnancy and tagged calcium, coconut oil, Coconut Water Benefits, electrolytes, Endometriosis, Endometriosis Diet, lauric acid, phosphorus, potassium, pregnancy drinks. Bookmark the permalink. 6 Responses to Coconut Juice – To Drink or Not to Drink During Pregnancy? I love Coconut water and always have ZICO in my refrigerator too! I don’t think coconut juice is harmful for preggies. Preggies need the hydration. Fresh is always better than canned. Is it the bottled or canned coconut water that is bad for women with endometriosis. I live in Jamaica where we can have it straight from the nut. I have been diagnosed with endo. Should I stay away totally? I know this is an old post. But I would like to check with you if coconut powder, coconut milk and coconut meat are also bad for endo? I have been diagnosed with endometriosis for the last 6 years. Mine was discovered during my natural pregnancy but unfortunately had miscarriage. We have been trying to get pregnant since then but of no luck. My AMH has gone down to <.03 and it is advised that we only have donor eggs:-( I am turning 40 this year. I am just trying all the chances we have. And found your site and gave me some hope.